This is one of the most energetic, engaging and exciting productions of Shakespeare’s great middle period historical-tragical Julius Caesar that you’re like to see for a long time, and I unhesitatingly recommend it for two reasons. The first is that the staging of the play and its interpretation are strong, direct, sensible and completely coherent. 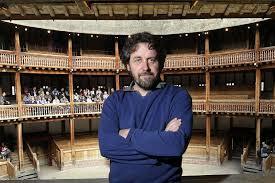 Dominic Dromgoole knows the text and is true to it, and also has something to say about it. The acting is very fine throughout, with the inimitable Katy Stephens taking three roles strikingly as Calpurnia, the First Plebeian, and a Citizen, a kind of precursor of Madame de Farge, a Marianne of the Classical Era! Luke Thompson is a sneaky and muscular Mark Antony, very gracious and charming when it serves his purpose, sincere in his love of Caesar and no slouch as either a warrior or a cunning politician. Thompson is very attractive in the role; and Tom McKay is warmly sympathetic, intelligent and convincing as Brutus. They play the roles as pendants to each other. Therefore, at the end, when Antony announces that Brutus was the noblest Roman of them all, the only assassin who joined the plot out of a sincere belief he was saving the Republic and not simply for self-serving motives. It makes perfect sense of one of the themes of the play and feels very satisfactory as a conclusion. The show is dressed in Elizabethan costume with the odd Roman shawl, enhancing the sense of seeing it almost as it must have been seen by its original audiences. And that brings us to the second reason for seeing this production. There is something about seeing Shakespeare in the facsimile of his actual theatre that adds dramatic excitement to the experience. Because of the open-to-the-sky construction of the Wooden O, the actors at the Globe have, it seems to me, developed a declaiming style that must in some way echo the original approach over four hundred years ago. This doesn’t inhibit subtlety–don’t get me wrong. 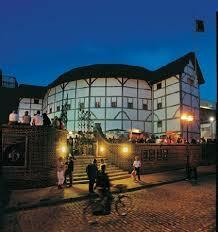 But it does allow the audience, especially the Groundlings, to be hugely involved. At moments you become a part of the Roman mob cheering on Brutus, weeping over Caesar, and being built up to a riot by Antony to rampage. The actors enter and exit through the audience quite often and there is a definite sense of involving and directly addressing the audience throughout. Caesar himself is well-played by George Irving, who also does a convincing corpse of Caesar and his scary ghost. The theatricality of the staging is swift and sure at all times; and if you have youngsters you want to introduce to The Shakespeare Experience, this is a good place to start. I advise you to attend a matinee if you can, where the lighting is more or less natural, as it would have been in Shakespeare’s time. But most of all I advise you to see this production at whatever hour you can get to it. As for the fact that the women are actually played by women and not by boys, well – times change and pederasty is not currently as fashionable as it once was. 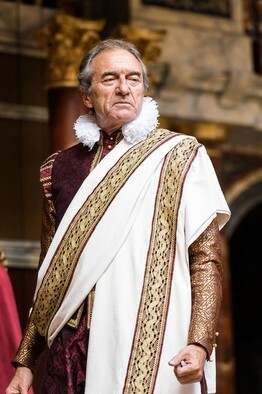 Julius Caesar is in repertory at the Globe Theatre, 8 July 2014 until 11 October 2014, along with its “sequel,” Antony and Cleopatra, which is there until 24 August. And you do not want to miss Eve Best playing Cleopatra, no matter what. I am eager to report that, as predicted, the new production of the Broadway version of Porgy and Bess at the Regent’s Park Outdoor Theatre was a resounding success. If you wanted to spend a gripping evening outdoors in a lovely setting watching a good show, this was a top hot-weather choice. “Summertime, and the livin’ is easy” were definitely the appropriate first words to hear on a night when the weather was balmy and one could easily settle into Catfish Row to enjoy the music. 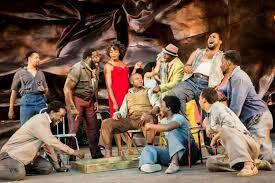 The Gershwins’ Porgy and Bess was written and produced as a complete opera when it was first performed in 1935. It was far from being a flop. But greater success came when it was redone as a Broadway musical in 1941, turning the recitatives into dialogue and cutting an hour from the performance. By then many of the “arias” had turned into hit recordings for many singers as well. The current Regent’s Park production was based on the recent, award-winning adaptation that was made in 2012 for Broadway, and even imported some of that cast – namely the three main male characters. Once you accepted that what you were seeing wasn’t the operatic, totally sung-through Porgy and Bess and that the set was an abstraction (presumably meant to make the story seem more timeless), then the show was, quite simply, wonderfully done and very moving. Personally, I prefer the full operatic approach, and I can’t believe that the audience needs an abstract set to comprehend the relevance of Catfish Row to today. Those quibbles aside, it was definitely an evening to remember. Nicola Hughes sang and acted Bess brilliantly. A trained dancer, she also moved beautifully. She was vulnerable as well as streetwise from the opening moments, and her transition from Crown’s woman to Porgy’s was totally convincing. Her addiction to drugs and booze was very explicit. Her complex and finely judged performance and some directorial choices put Bess more at the centre of the show than usual; that seemed to me to strengthen the impact of the story. Rufus Bonds Jr must also be praised for his complex and convincing Porgy; Philip Boykin for his terrifying yet weirdly attractive Crown; and Cedric Neal for his serpentine and captivating Sportin’ Life. All three sang the socks off their “arias”, and “It Ain’t Necessarily So” stopped the show the night I was there. Jade Ewen, a former Sugababe, was stunning as Clara, singing and acting throughout–especially her iconic “Summertime” solo; Sharon D. Clarke was the perfect matriarch of the community as Mariah (and a real scene-stealer;! ); Golda Rosenthal was a heartbreaking Serena. Every member of the ensemble matched the soloists in commitment and talent. Without a doubt, director Timothy Sheader got his casting right from top to bottom. The musical adaptation and performances are strongly idiomatic. 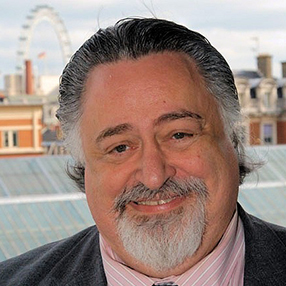 Porgy and Bess has always had both artistic and political significance in the culture of the United States; and there are enough references in the text to localise the show in both time and place. The sometimes angular, stylized production, with occasional massing of the chorus into postures reminiscent of Greek Tragedy, certainly worked. The idea of using the Jazzbo Brown opening music that is often cut cleverly introduced us to Bess (possibly in a New York dive) so that the whole show could be interpreted as her memory of her year in Catfish Row in flashback )—to her sexuality, her feistiness and her drug habit. This introductory scene was brilliantly handled by Hughes and the male chorus and immediately signaled Sheader’s intention to place Bess at the centre of our attention. It’s an idea that really works, without in any waybending the original story out of shape. 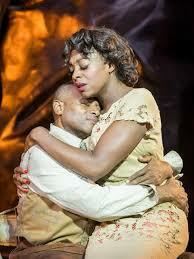 This Porgy and Bess. Especially if you’ve never seen it before, was a fine introduction to one of the enduring icons of American music theatre.